I love summer fruits. The melons. The berries. Especially strawberries. But did you know that strawberries are good for more than just eating? I'm going to show you how to use them in your beauty routine as a face mask and a teeth whitener. The AHA’s, salicylic acid, and vitamin C in strawberries work to gently exfoliate skin. Strawberries' malic acid helps to whiten teeth. 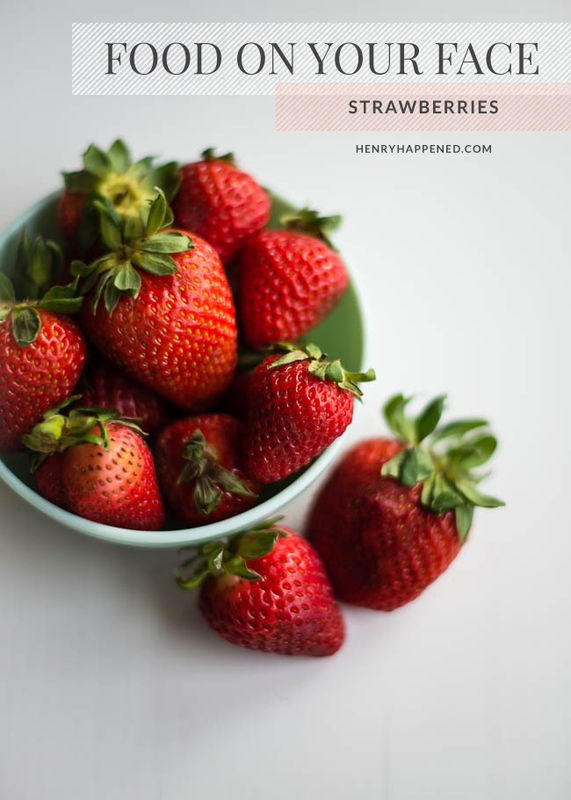 Remove the green tops, mash strawberries together with the honey and coconut oil in a bowl until well combined. Apply to a clean, dry face and allow to sit 5-10 minutes. Rinse with warm water and pat dry. Apply your fave moisturizer. Voila! Strawberries are able boost your immunity, and they are a good source of fiber, which aids in digestion. They are rich in manganese and they help out in regulating blood sugar levels. Those pretty little red vixens also have more Vitamin C than oranges. Vitamin C works to reduce inflammation, and boost cell and tissue repair. And, as we are about to find out, strawberries can also do amazing things for your skin, by gently exfoliating to renew and detoxify. We usually think of colorful berries as staining our teeth, but strawberries can actually help whiten them thanks to the malic acid. The Vitamin C is starring in this recipe too, since it fights plaque! Remove the green tops, mash strawberry. Mix together with the baking soda until well combined. Use your toothbrush or your finger to brush with the mixture for 1-2 minutes. Rinse. Repeat twice monthly. Info and photos for this article from www.helloglow.com. Check it out. There's lots of interesting stuff over there.